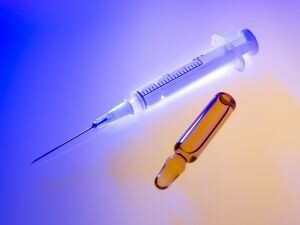 There is a good chance that most men who are 40 years of age or older have been told about the benefits of taking testosterone replacement therapy. They did not likely hear this from a doctor, but rather from the many TV commercials during sporting events, Internet pop-ups and magazine advertisements. In fact, you probably did not hear about the benefits of testosterone hormone from your doctor unless you are over 70 years of age, because doctors are not sure what it means to have low testosterone. While this may sound strange, there is not even a medically approved consensus on what a normal testosterone level is. Additionally, doctors are not convinced that taking testosterone hormone actually does anything if you are not suffering from a relatively rare disease known as hypogonadism. It should be noted that the vast majority of men who are taking or have taken testosterone replacement therapy drugs do not suffer from hypogonadism. Instead, they are taking the drugs because the drug companies told them that doing so would reverse the symptoms of normal male aging, like decreased libido, weight gain, hair loss, fatigue, mild depression, and loss of muscle tone. While doctors do not know if these signs of normal male aging are affected by taking testosterone hormone, they do know that there are risks involved. As our Boston testosterone injury attorneys have seen in many cases, taking testosterone replacement therapy drugs can increase a patient’s risk for having heart disease or a stroke. According to a recent news article from Science Daily, a new study is helping to define what it actually means to have a normal testosterone level. This study involved over 9,000 male patients. This study involved samples that were obtained from these men (serum testosterone) and then sent to the United States Centers for Disease Control (CDC). Once the results were obtained, the study makers used a process to harmonize the results accounting for statistical outliers and determined what the “normal” level of testosterone was for the men who participated in the study. All of the men in the study were between the ages of 19 and 39 years of age and were not obese. The reason they chose to study this particular age range is because the previous research deals with men who are senior citizens and children who are still developing. Since most of the so-call “Low T” patients are between the ages of 40 and 65, they wanted to ascertain a benchmark for what it means to actually have a low testosterone level. However, it should be noted that even if doctors determine this study is definitive as to what a normal level of testosterone is for men this age, it still does not answer the larger question of whether taking testosterone replacement therapy drugs actually does anything beneficial for the patient and whether there is any medical need to take these drugs. This study also does not address the risks associated with taking testosterone replacement therapy drugs, like increased incidences of stroke and heart disease.